EDIT:: All the wiring has been taken care of. 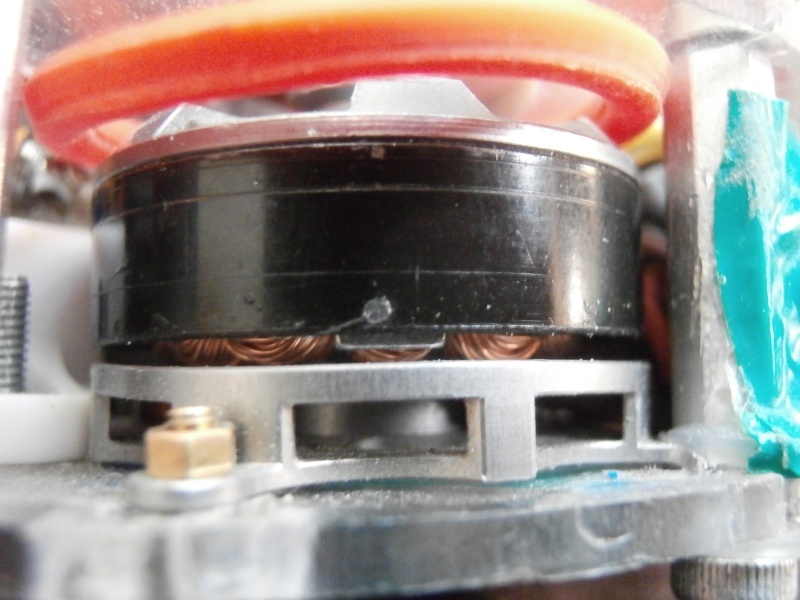 I discovered that one of my motors is burnt out, and the esc, even when re-calibrated, only wants to reverse at low speeds. Which is fine, as the controls are reversed and is confusing anyway, but spinook is now assembled and ready for mecha mayhem!!! I have encountered one problem. heavy loads like plastic bags cause the bot to stop responding, forcing a reconnect of the battery to fix. More info in the actual video description on youtube. Spinook finally fought arena combat!!! My videos are uploading right now. I fought against low blow and vile ant as the true contenders, never had a chance to fight bruce or lil. soldier except in the rumble. My first fight against Low blow was a victory for me, since all the electronics and the weapon were working fine for most of the match. Near the end, my belt came off and low blow bent the first weapon deadshaft, so i had to get fancy with my driving and throw him into the hammers to try to break something, it ended up breaking his motor mount and taking off a wheel. Unfortunately, this was the only fight at the entire event I didn't get, because my camera battery died just before the fight. Only one camera actually got the footage, and it was a cellphone with only half the view of the arena But it was alex's phone, so he may post it. 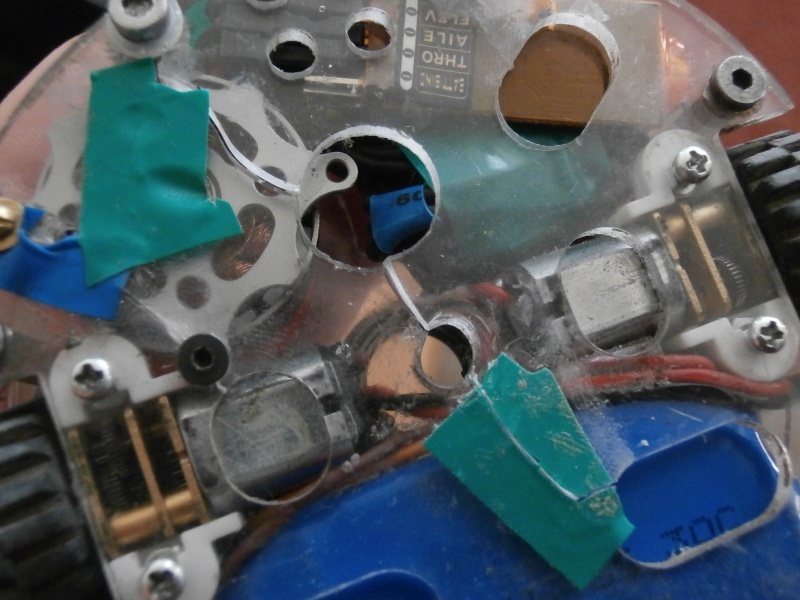 As for the rumble, I ended up being a arena hazard since one of the wheel esc's wasn't working. Turns out thats also where most of the damage occurred. After my first match, pretzel robotics and jim lent me an orange rx (same one they use in demise) and a 2 gram capacitor that i managed to find a spot for. 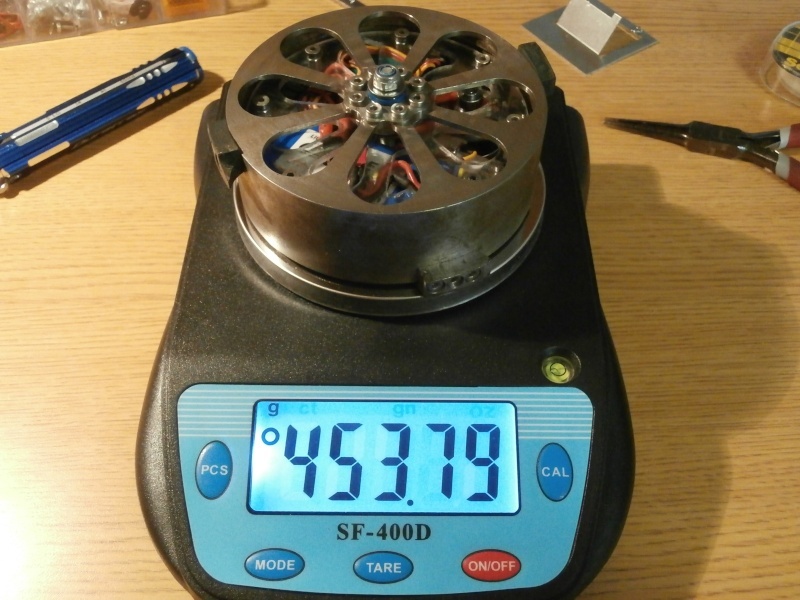 Total weight: 454g. 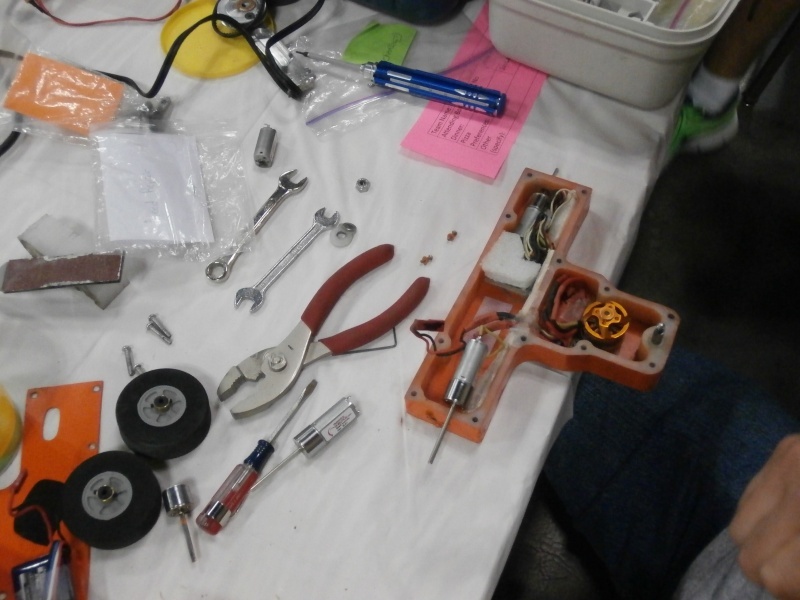 I was probably the least prepared to repair my bot, after discovering both my spare wheel motors weren't functional, and I had no spare esc's or motor or baseplate. I basically went there with what I had. This was taken after the rumble, Vile Ant managed to chew enough shell to turn it into a mini tooth. Only possible since i wasn't spinning. 125 mph tip speed on those weapons does a considerable amount of damage. 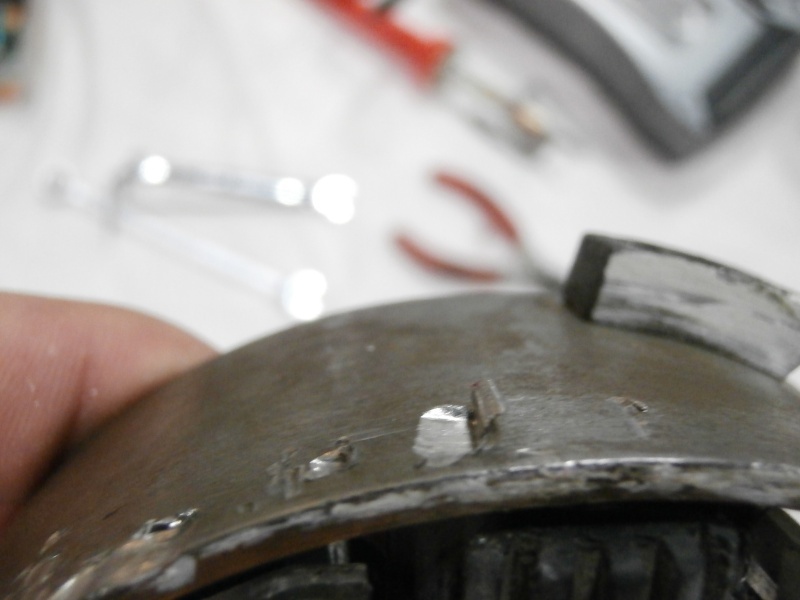 The polycarb baseplate also finally cracked nearly all the way after the rumble. 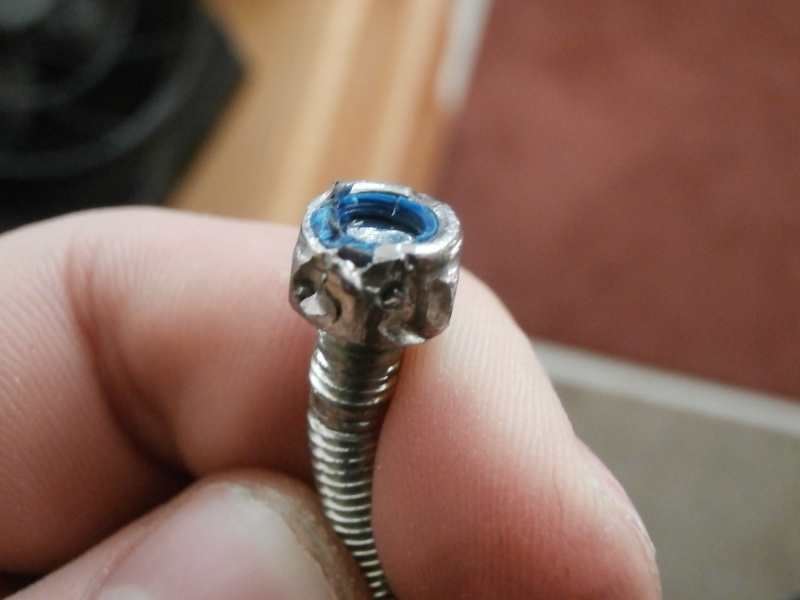 He also hit my tooth so many times I had to dremel out the damage to unscrew the bolts. 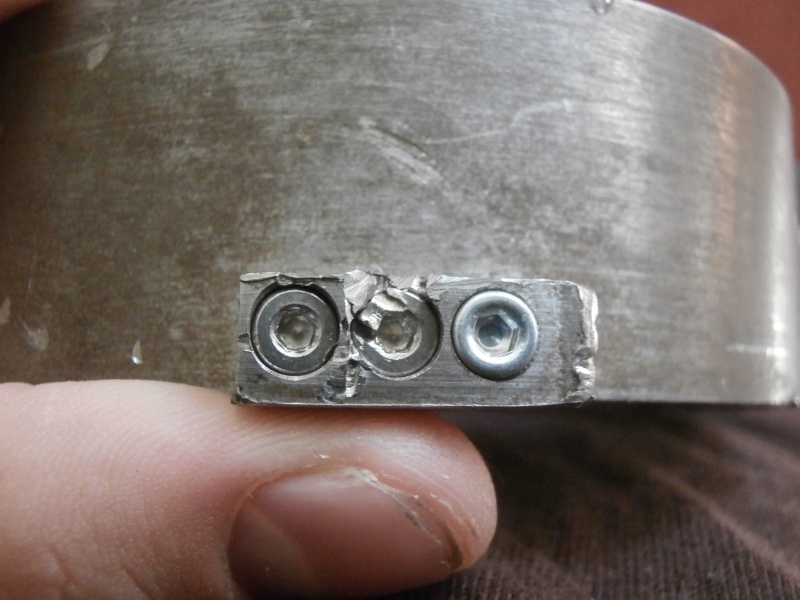 On the other side, I had been using stainless bolts, and a hard hit against the steel arena wall caused them to nearly shear off, so now i need a big pair of pliers to wrench it loose. I'll get a pic once the youtube vids are done uploading. Baseplate: shock from above caused massive cracking and deformation around central hole. 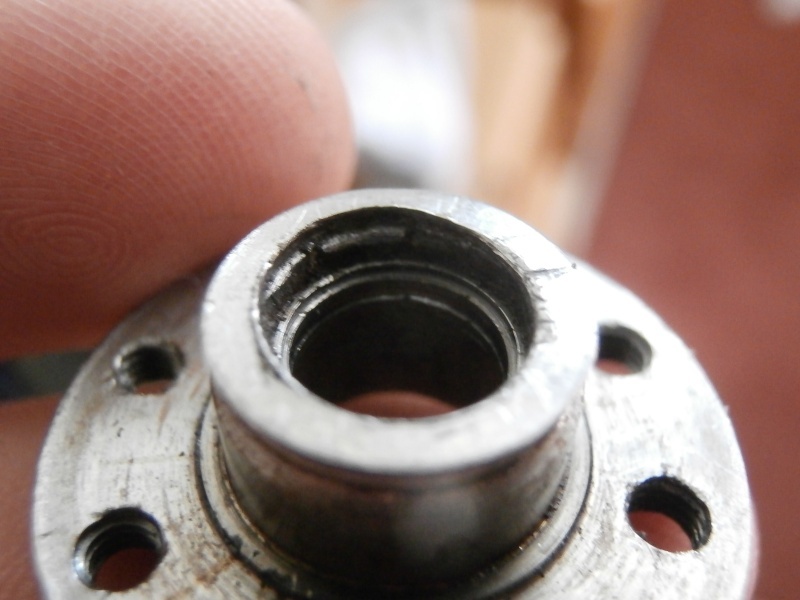 Weapon Shaft: bent 20 degrees starting just below the bearings in the hub, destroying the bottom bearing. Teeth: Thwacked so many times I can't get one of em loose. Electronics: Not sure yet, But i think I lost both my drive motors and/or esc's, and the weapon motor dislodged another magnet. Total damages: $3 - 90, depending on severity of electronics malfunction. Turn down shell on lathe to balance/make weight after aforementioned upgrades. 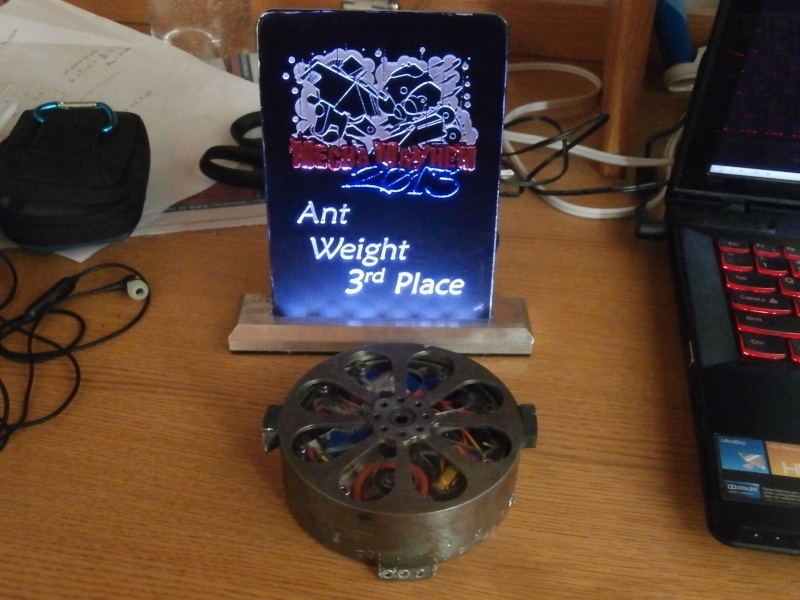 If I hadn't been unplugged in my match against vile ant, I probably would have won. But i was rushed to get to the fight and my battery didn't connect right. After that match, my electronics started acting up, so I didn't have much going into the rumble. It turns out I need to upgrade a few spots on my bot. I found pictures of the fight I couldn't record! If you have a lighter or smaller alternative to these, let me know. ($34) the one I use now is an AT2206-17, not sure what the number after the dash represents. I was loaned a receiver by team pretzel with Vile ant and demise, (Thanks guys!) that I am unable to source online. I'm guessing the price is around $15 for the rx and $3 for the capacitor. Further testing indicates that either my esc's or my wheel motors are infact broken. 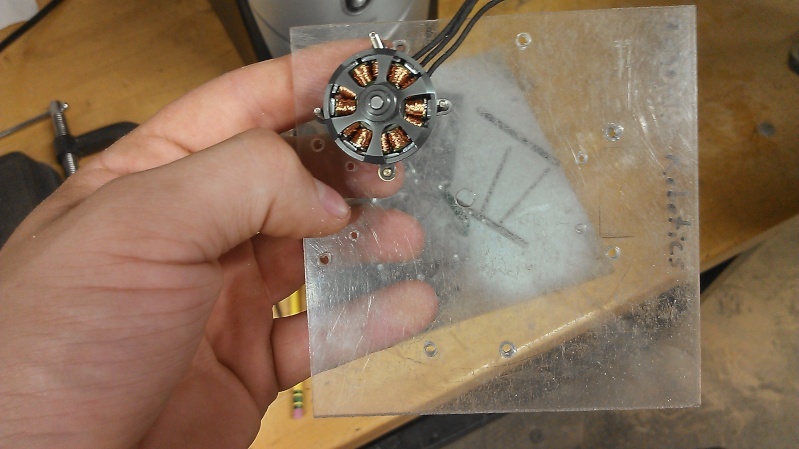 Left side esc tries to function properly, but any stick movement causes the motor to stop spinning and heat up, spin the opposite way, or spin normally for a few seconds. right side esc blinks very rapidly red. faster than normal blinking, but not solid. I cannot test different ESCs as I only have 2, and my other wheel motors both do not function. At this point in time, spinook is a glorified hockey puck. Looks like Mecha Mayhem was fun! I got a look at the inside of low blow, they always end up running into problems with their gearboxes. Hey Cam, how well did the lego wheels hold up? I'm planning to use basically the same drive system with my next ant. I'm assuming you drilledd in a setscrew so it stayed put? They held up very well. And actually, there was no setscrew, although i was looking to add one. All I did was drill a 2mm hole in the wheel, then i shoved it onto the D shaft with brute force. and voila, it stayed. I will say, however, I have lost a few wheels due to the excessive torque turning the D shape in the plastic into a circle, rendering it slippery and making the bot harder to control. 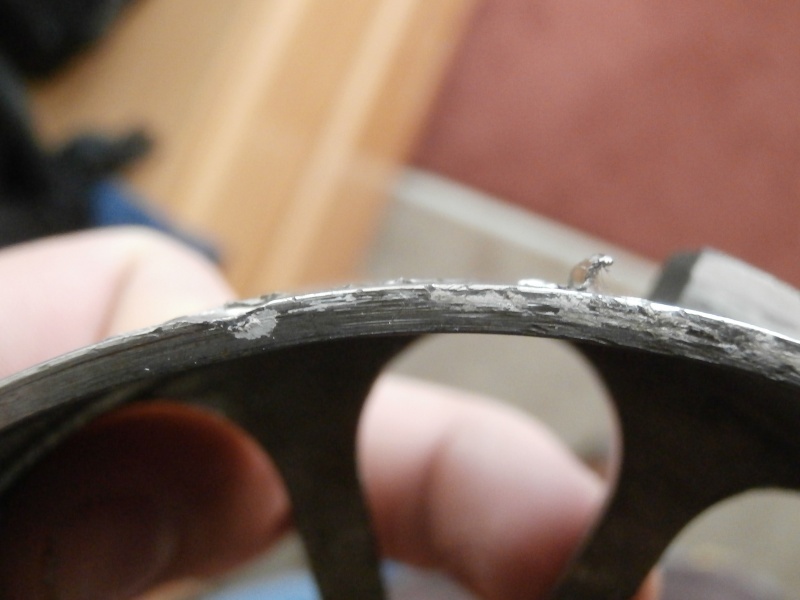 In fact, i can attribute two of my matches with sloppy handling the fault of a slippery wheel. 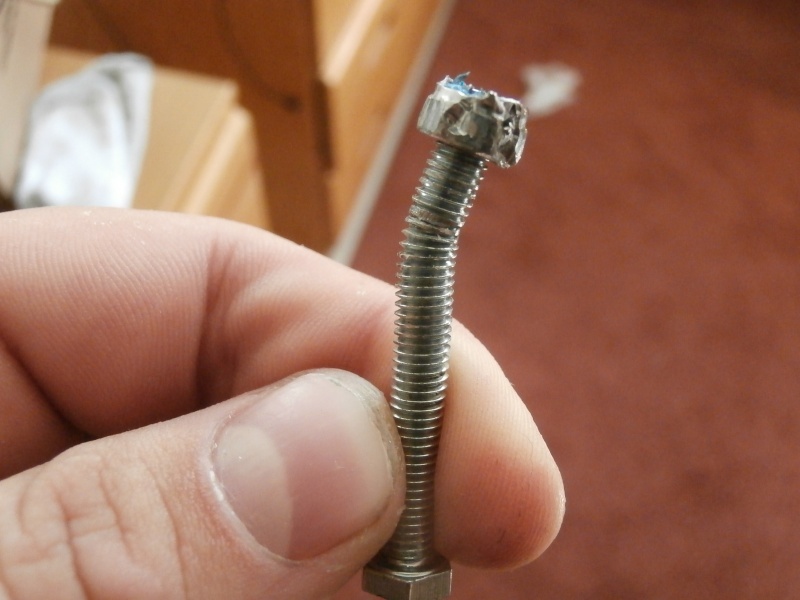 I advise a setscrew. By very well, i mean they weren't touched. I had the same pair through the whole competition, though i did have about 6 spares. On another note, I just purchased a new weapon motor. the current one has 3 loose magnets and 2 broken feet. I learned my lesson with mounting. 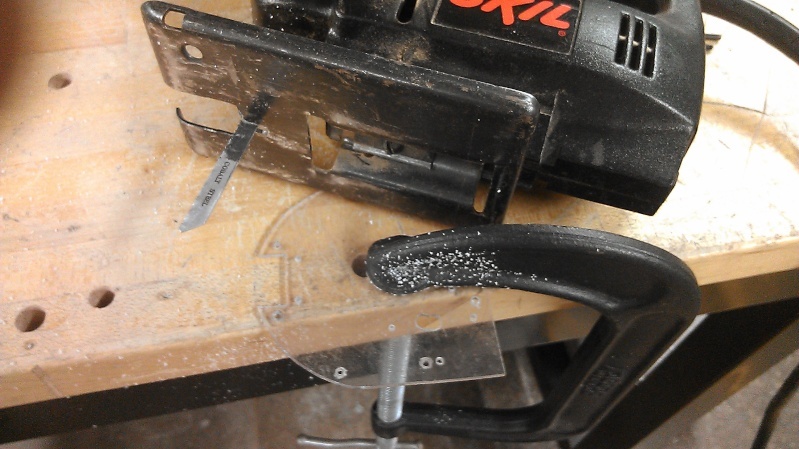 this time i won't drill into the 1.5mm holes. my grandpa runs model trains and he has the perfect brass bolts i can use. IN FACT I have $3000 in the bank that will all disappear when i pay for this semester of college. I shall buy new components. I have now purchased new hardware, 2 plus a spare wheel motors, and a weapon motor. The ESC's are out of stock, so we will see what happens. Progress on the rebuild. 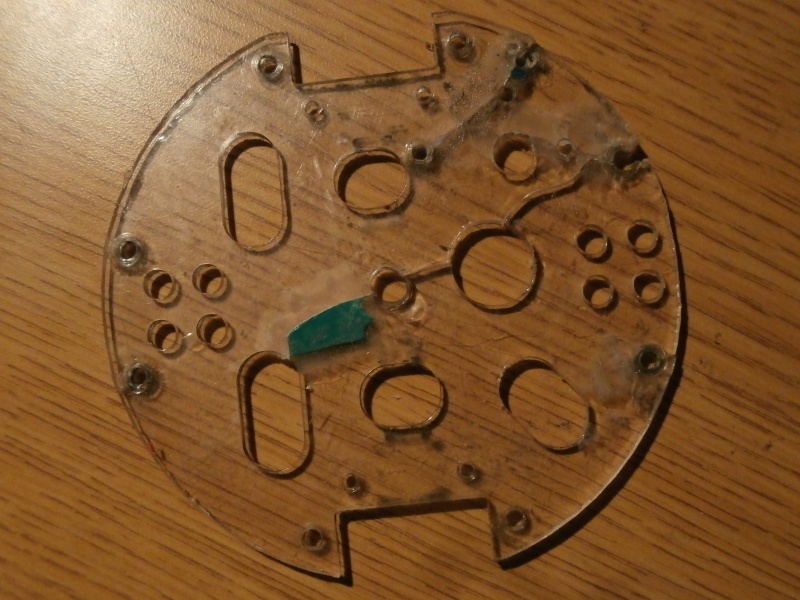 The baseplate has been modified and cut. 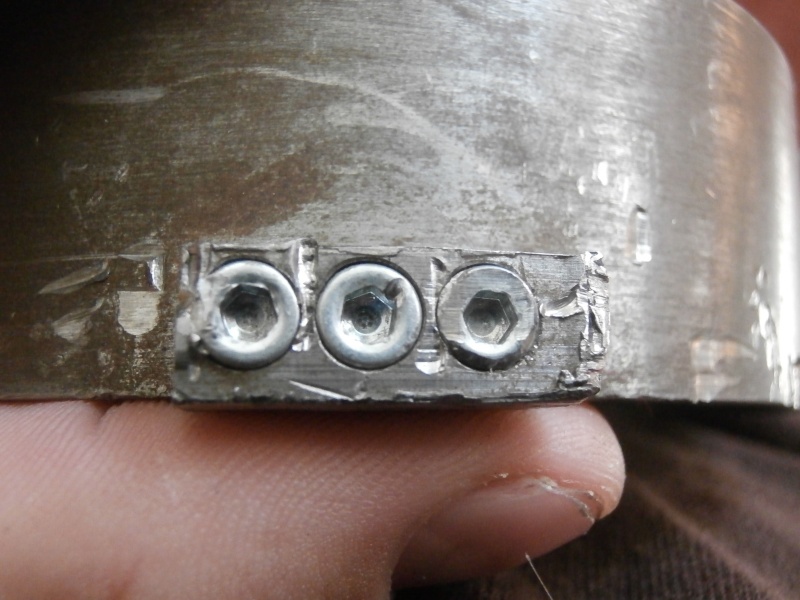 I did pretty well, considering i was using a drill press and lined up holes by pencil marks from the broken baseplate. The motor mounts to 4 points now. But it will be a bit before i get to it again. I'm looking into downsizing my electronics to make a new upgrade to spinook. 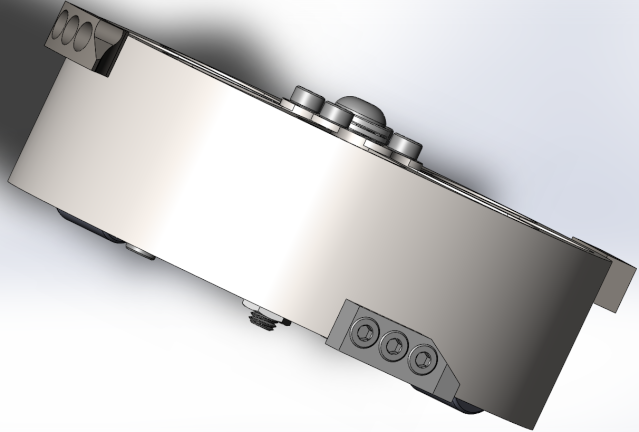 If anyone is willing to machine out a new shell for me, I can order a chunk of 4130 from mcmaster that would only take 2 mounting operations and some tabs with a 1/2" bit. Whew! Lots of heavy hitters this year!! Learned everything wrong with my design and what needs to change. *Grip. Slick linoleum laminate floor with essentially a layer of oily dust is a TYPICAL FLOOR IN THE ARENA. straight up plywood is way grippier and not a good test. Concrete is great for proofing but is even less realistic. The green loctite Brian Adamson offered me works great to keep the lego hubs on the N20 when Spinook inevitably spins its innards at 4k RPM. I put magnets on the bottom for much of the competition, and while they provided 10lbs of downforce, they were interfereing with the N20's so i'll stick to one magnet under the battery for future reference. 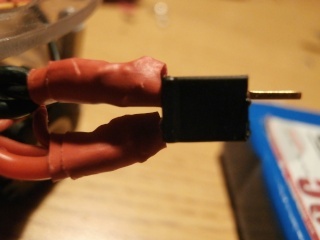 Hot glue around the magnet edge is sufficient to hold them in place, while not permanently adhering them. *Flatness. The wires coming off the battery connector up top are pushing slightly on the top plate. This causes unwanted angular instability of about 1 degree. Option is to make it of a stiffer material or stop putting downward pressure on the battery, I think i'll look into the former as the battery needs to be pressed on a bit. *Charging. Every time I take off the shell it ruins any minute adjustments I had dialed in and it takes half a battery for spinook to fix itself properly. Adding a hole for the balance lead to poke through so I can charge via balance plug, without removing the shell, is absolutely necessary. *Torque. This was a spectacular failure and cost me every battle. The srimech I made did not withstand heavy impacts and bent slightly. After taking a look at different profiles, keeping a 30 degree angle is best so I need a beefier wire. To do this, I'll be once again increasing the diameter of the shell's pulley, which will further require the battery to be held down because larger pulley = above battery by 0.6mm. I'm also looking into alternative motors. KittyKat and Odium had some of the most promising spinups from 0, so i'll be trying to cram a 2806 motor in somewhere to also increase my torque. I only need 3 screws to hold it down and surprisingly, tapping directly into the baseplate worked like a charm! 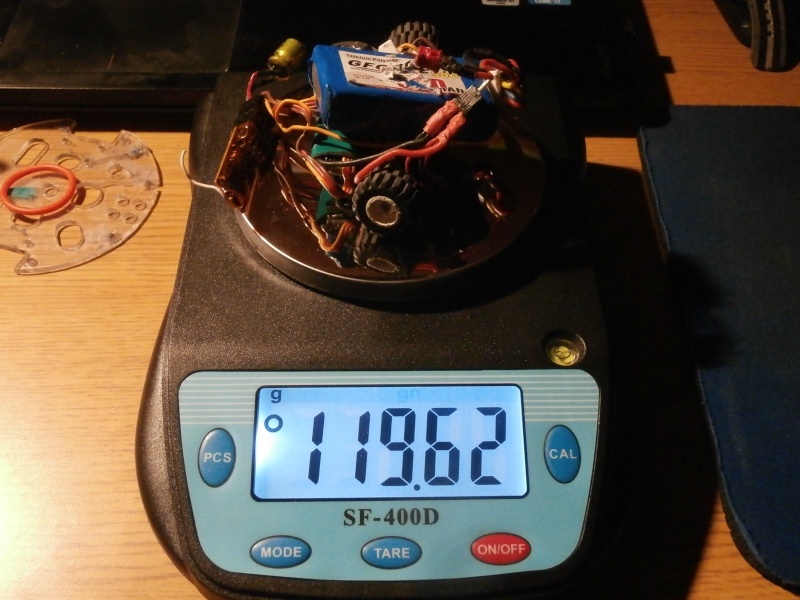 The Emax ESC's, while small, do not have the low-end power I need for the srimech to work if it's bent too far. I have (not) a lot of room to play with, it can sit above an N20 and the lemonRX sideways. I was looking at the castle 18A that Bit Error uses, I like the ramping techique it employs and it's the right size. 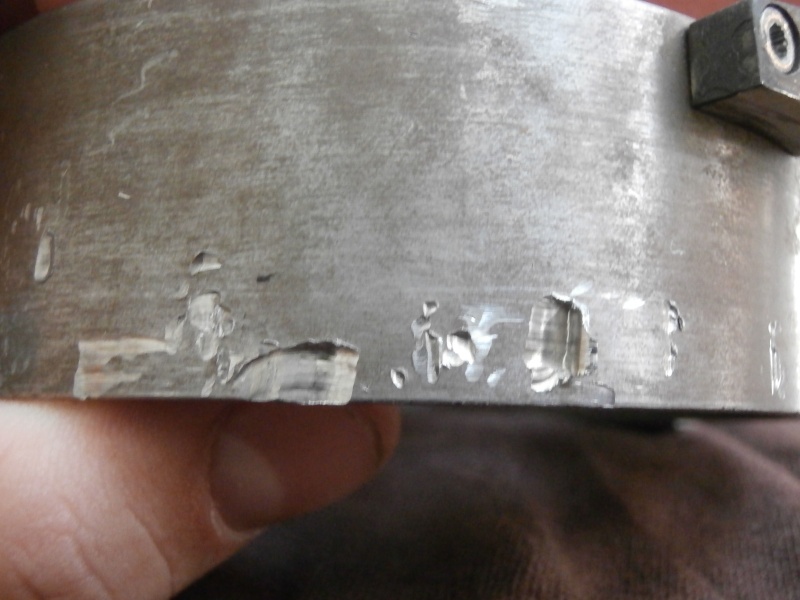 This was the first year spinook has fought a wedge, It was humiliating and I could not self right >.< During impact, I had finally reached the speed where the motor went to maximum throttle and could not move to evade at that moment. Had the hit been 1 second later I dont' think this fight would have ended nearly the way it did. That being said, the floor was super duper slick. Due to the sheer mass of the teeth, the robot reacts more like a bar spinner on low speed impacts, so I might try to hunk out some weight from the shell and add some steel mass to the sides for 4 points of weight distribution. All that being said, the teeth themselves are rock solid, I did more damage to them grinding an anti-wall profile at the bottom tip than any robot could. Srimech has been solved, wire bent in such a way that it need not be reinforced from impacts. Using loctite helps a lot. 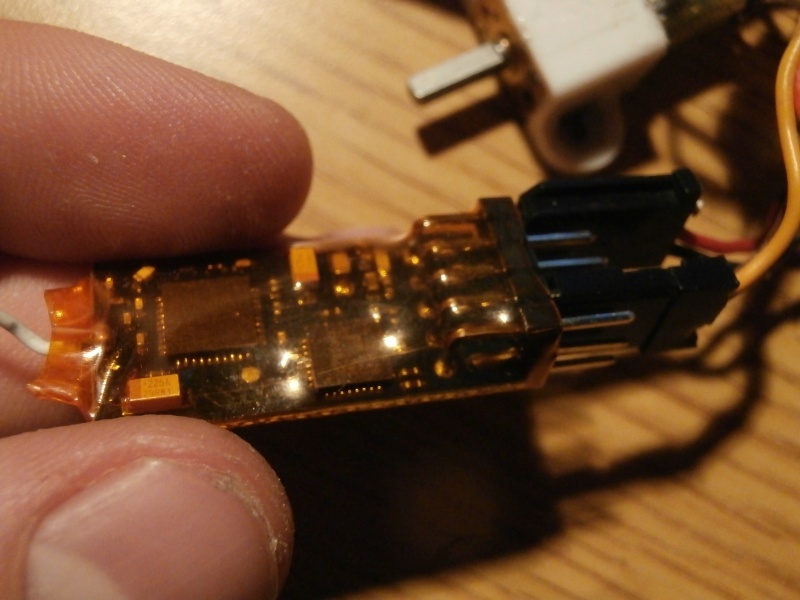 Battery can be charged directly through its 4 pin jst connector when the bot is assembled. 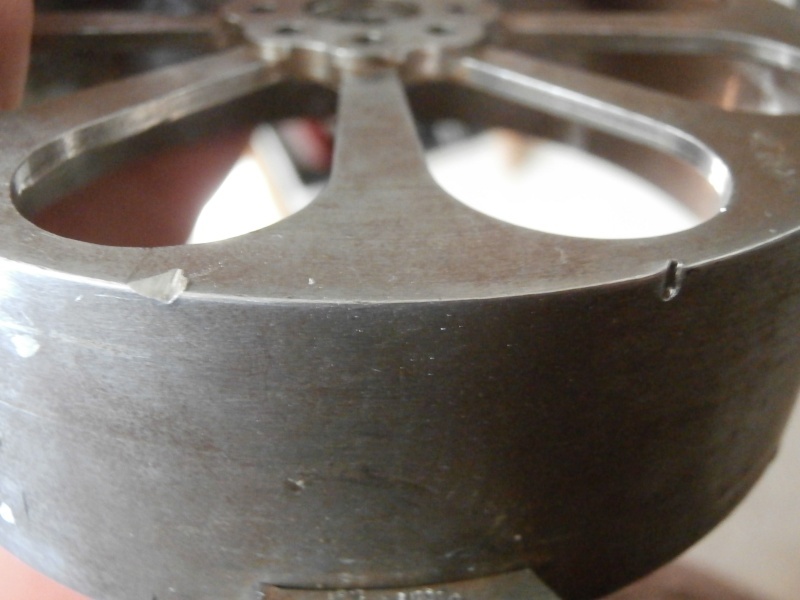 Horizontal stability achieved by flipping the grooves around on the thrust bearings. Torque is amid fixing. Buying a quadcopter controller module to interface with the computer and adjust the weapon ESC settings.